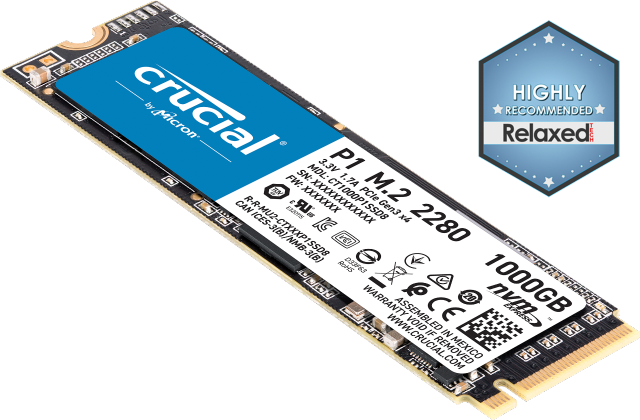 The Crucial M550 SSD is a legacy product and is no longer available. Click here for a current list of Crucial SSDs. A breakthrough in innovation, the Crucial M550 SSD is over 20 times faster than a typical hard drive1 and consumes significantly less power. It enables your computer to boot up almost immediately, load files and programs almost instantly, accelerate demanding applications, and manage power so that your battery lasts up to 50 minutes longer. Backed by the most advanced feature set available - Native Write Acceleration, RAIN technology, Adaptive Thermal Protection, hardware-based encryption, and our exclusive data integrity algorithm - the Crucial M550 delivers a complete performance gain that's measured by far more than just specs. Consistently fast speeds. No exceptions. Every manufacturer has ideas about how to deliver better performance. Some use file compression schemes, but those don't help video, audio, or graphic files that are already compressed. Some steal system memory to improve a slow drive. The Crucial M550 treats all files the same, regardless of whether they're compressed or uncompressed, so the specs we advertise are the same ones you'll see in real world use: true 550 MB/s sequential reads across all file types. Our engineers are relentless and passionate about the products they create. To deliver consistently fast write performance, they developed a more efficient and dependable way to write data called Native Write Acceleration. This technology spreads the drive's workload across several elements, and links the controller, custom firmware, and flash storage components together, enabling you to achieve inherently faster downloads, saves, and file transfers. 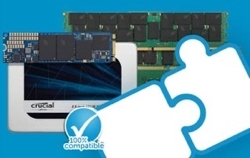 Normally, as an SSD's level of performance increases, its level of reliability decreases. Not so with the Crucial M550. With over 35 years of defining and refining some of the world's most advanced memory and storage technologies, we leveraged our expertise to create RAIN (Redundant Array of Independent NAND). This technology protects your data at the component level, similar to the way RAID is used with multiple drives. Run your system longer than ever before - and use less power. Based on published specs, a common laptop hard drive uses 2.5 watts of power on an average workload, compared to 0.15 watts on the Crucial M550 (which is up to 94% more energy efficient).2 In everyday terms, this means significantly more battery life and substantial savings on power costs. Guard against corrupt files with our exclusive data integrity algorithm. If one of your videos, photos, or files happened to get corrupted, there's a good chance it would no longer be usable. That's why we've taken additional safeguards to ensure the integrity of your data. As a leading manufacturer of the flash storage components that go into SSDs, our exclusive multi-step data integrity algorithm is built into the components we use, arming them with four layers of defense against data corruption. You probably save lots of sensitive and personal information on your computer - encrypt it and keep it safe. As a self-encrypting drive, the Crucial M550 incorporates the highest level of hardware encryption into the controller, allowing the drive to operate at full speed without the performance loss associated with software-based encryption. The Crucial M550 is one of the only drives on the market to meet the rigorous requirements of TCG Opal 2.0, IEEE-1667, and Microsoft® eDrive®. Push your drive to the limit and avoid overheating, even in ultra-small, thermally constrained systems. The Crucial M550 includes Adaptive Thermal Protection technology, which enables the drive to dynamically adjust NAND activity based on usage demands. With this technology, the drive is able to maintain optimal operating temperatures, even when you overwork it. Available in capacities up to 1TB, the Crucial M550 provides plenty of space to store large programs and your ever-growing collection of photos, videos, music, and work files. Available in the form factors of today (2.5-inch and mSATA), and tomorrow (M.2), the Crucial M550 is designed to go the distance. ADVANCED FEATURES High I/O and Throughput Performance True 550 MB/s sequential reads on both compressible and incompressible data. Native Write Acceleration Inherently faster downloads, saves, and file transfers for all file types and sizes. RAIN (Redundant Array of Independent NAND) Achieve top speeds without sacrificing reliability. Enterprise-class feature in a consumer drive. Low Power Consumption 94% more energy efficient than a common hard drive. Delivers up to 50 more minutes of battery life and substantial power savings. Multistep Data Integrity Algorithm Provides four layers of defense against data corruption. AES 256-bit Hardware Encryption Keep personal files and sensitive information secure. Meets IEEE-1667 and TCG Opal 2.0 encryption standards. Compatible with Microsoft® eDrive®. Adaptive Thermal Protection Helps prevent overheating and adjusts power consumption based on usage demands. Supports Device Sleep Drive uses only 0.003 watts when a DEVSLP-enabled system is in sleep mode. Note: All trademarks are property of their respective owners. 1 GB = 1 billion bytes. Actual usable capacity may vary. Performance level based on averaged PCMark Vantage HDD test scores of five leading hard drives compared to the Crucial M550 SSD. Actual performance level may vary based on benchmark used and individual system configuration. Test setup: 256GB Crucial M550 SSD (firmware MU01), 2TB Western Digital® WD20EURS 7200RPM hard drive, 2TB Seagate® ST2000DM001 7200 RPM hard drive, 1TB Western Digital WD10EZEX 7200RPM hard drive, 750GB Seagate ST3750640AS 7200RPM hard drive, and 500GB Western Digital WD5000AVDS 7200RPM hard drive, all tested on an Intel® DZ87KLT-75K motherboard, Intel i7-4770K 3.50GHz processor, BIOS Rev. 0446, and Windows® 8 Pro 64-bit operating system using PCMark Vantage HDD test suite. Benchmark testing conducted December 2013. Hard drive active average power use based on published specs of 500GB Seagate® Momentus® 7200RPM internal hard drive for laptops. According to NPD data published in September 2013, this was one of the most popular hard drives available and an accurate reflection of a common internal hard drive for laptops. For illustrative purposes only. Based on 1TB Crucial M550 SSD. Actual quantities will vary based on several factors, including file size, file format, features, and application software. Photo file size based on a 6 megapixel JPEG. Song file size based on a 4 minute MP3s encoded at 128kbps. Video file size based on HD standard 720p 5Mbps. Some of the listed storage capacity is used for formatting and other purposes and is not available for data storage.